Nothing says luxury like an inground pool that has been custom-built for your backyard. Whitehouse Landscaping can make your vision come to life before the project ever starts with our 3D Pool design capability. 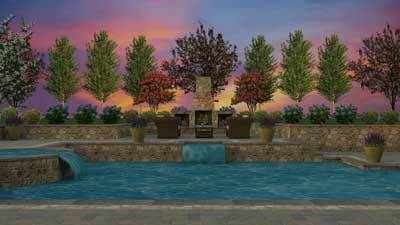 This is a great way to take the stress and guesswork out of planning a custom pool project. 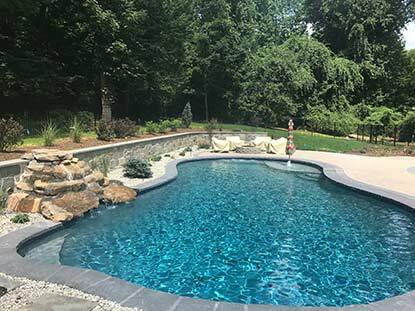 Whether it's a small inground pool installation or a challenging backyard oasis, our expertise in pool design, pool decks, and landscaping will guarantee a beautiful, functional custom pool and landscape that works for YOU. When working with Whitehouse Landscaping, you only have to deal with one company from start to finish. We have partnered with some of the top reputable and experienced companies in the area including pool builders, plumbing companies, electrical companies, and fence installers. This allows us to handle all aspects of your project and eliminates the need for you to hire multiple companies. We pull all the landscaping pieces together, including grading and site planning, pool design, landscape design, custom-designed decks, outdoor kitchens, and more. 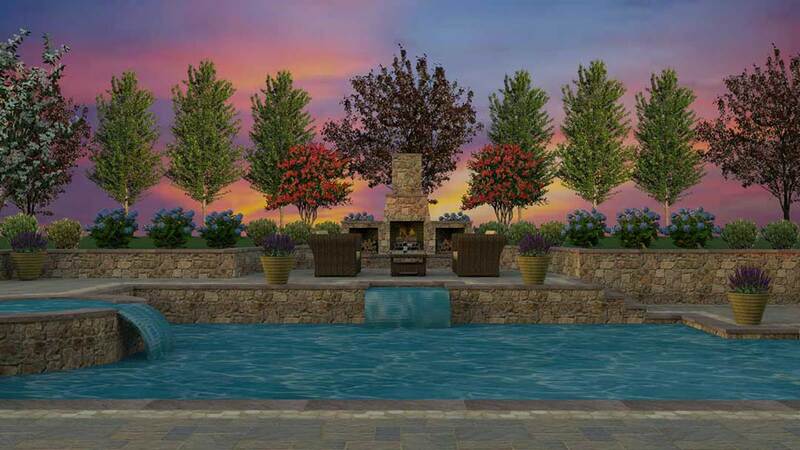 Proper design and planning for the entire pool project will ensure you an incredible backyard for your family. The difference between the extraordinary and the ordinary in a pool landscape is how everything is designed to work together. 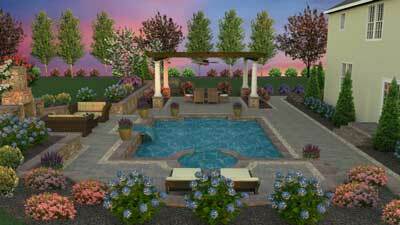 The integral parts of a pool design are the pool deck, lighting, and landscaping. 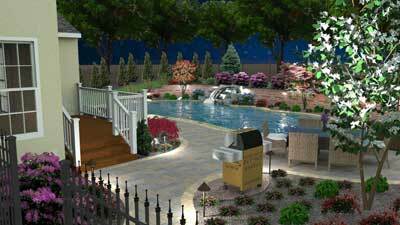 We specialize in hardscape, design & build, landscape design and outdoor lighting. 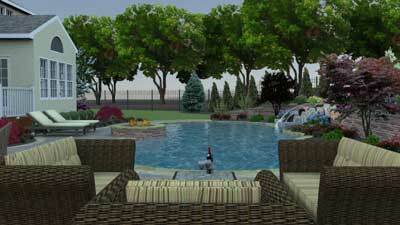 Keep in mind that well-designed pool landscaping tends to increase your home's resale value. We also have a maintenance division that can care for your project after the installation. This is a great way to protect your investment! 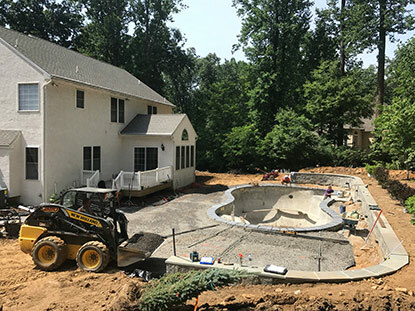 Installing an inground pool project is no small investment and requires real project management and construction experience. To speak with a landscape designer about your swimming pool project, call the experts - Whitehouse Landscaping and you'll be on your way to creating the perfect oasis to beat the summer heat and making wonderful family memories. 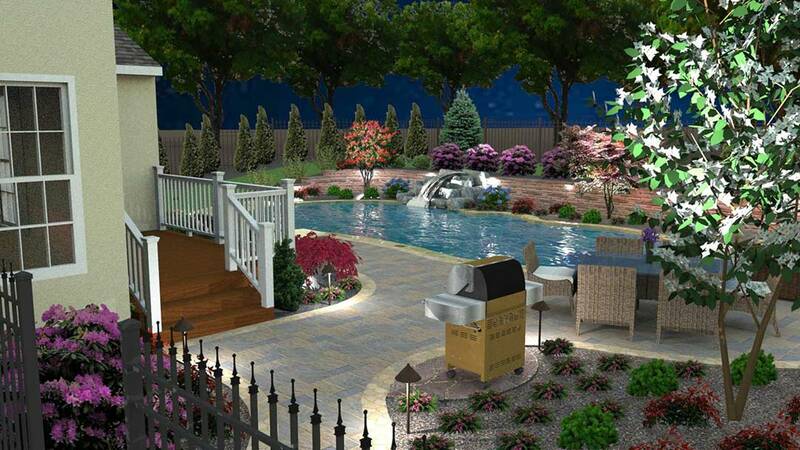 We create pool designs for clients in Montgomery County, Chester County, and Berks County, PA.